Referring to the recent debate on Lord Hanuman's caste, MP Congress also asked when Nitin Gadkari will thrash people who bring up the caste of the deity to earn votes. 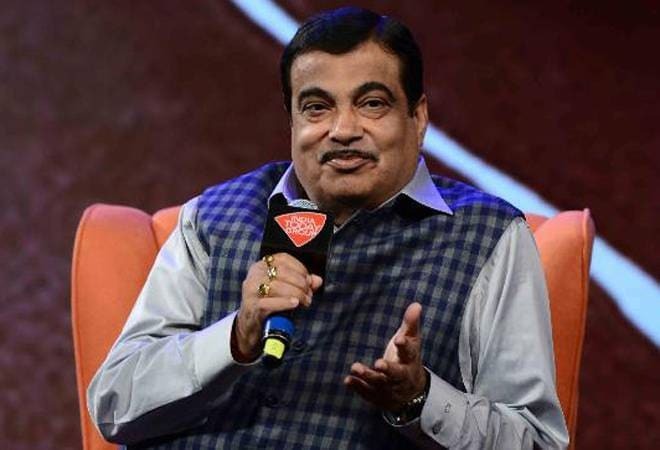 The Congress Party on Monday said the latest comments by Union Minister Nitin Gadkari are a direct attack on Prime Minister Narendra Modi and the Bharatiya Janata Party (BJP). At a gathering in Pune on Sunday, the minister said, "We do not believe in casteism...I do not know about you but there is no place for caste in our five districts because I have warned everybody that if anyone talks about caste, I will thrash him." The Madhya Pradesh Congress handle tweeted that Gadkari spoke up against the party's fundamental politics of religion. MP Congress also said, "Gadkari ji, when will you thrash people who bring up the caste of Hanuman ji to earn votes?" The Congress party was referring to the recent debate on Lord Hanuman's caste. Uttar Pradesh Chief Minister Yogi Adityanath had said that the deity was a Dalit, while BJP MP Hari Om Pandey had said that the god was a Brahmin. BJP MLC Bukkal Nawab had said that Lord Hanuman was a Muslim, while another minister from UP Chaudhary Laxmi Narain said that the deity was a Jat. à¤­à¤¾à¤œà¤ªà¤¾ à¤¨à¥‡à¤¤à¤¾ à¤¨à¤¿à¤¤à¤¿à¤¨ à¤—à¤¡à¤•à¤°à¥€ à¤¨à¥‡ à¤­à¤¾à¤œà¤ªà¤¾ à¤•à¥€ à¤®à¥‚à¤² à¤°à¤¾à¤œà¤¨à¥€à¤¤à¤¿ à¤•à¥‡ à¤–à¤¼à¤¿à¤²à¤¾à¤«à¤¼ à¤¬à¤¯à¤¾à¤¨ à¤¦à¤¿à¤¯à¤¾ à¤¹à¥ˆ, à¤•à¤¹à¤¾- à¤•à¥‹à¤ˆ à¤œà¤¾à¤¤à¤¿à¤µà¤¾à¤¦ à¤•à¥€ à¤¬à¤¾à¤¤ à¤•à¤°à¥‡à¤—à¤¾ à¤¤à¥‹ à¤®à¥ˆ à¤‰à¤¸à¤•à¥€ à¤ªà¤¿à¤Ÿà¤¾à¤ˆ à¤•à¤° à¤¦à¥‚à¤‚à¤—à¤¾..! This is the second time that the Congress spoke in favour of Nitin Gadkari recently, insinuating that the minister was taking jibes on the BJP. "I meet many people who say we want to devote our lives for the BJP, for the country. I asked (one such person) what do you do, and who all are there in your family. He said I have closed my shop as it was not doing well...there is wife at home, children," Gadkari said. "I said (to him) first take care of your home, because one who cannot manage his home cannot manage the country. Hence first manage your home and look after your children properly, then work for the party and country," he said. Congress President Rahul Gandhi replied to the comments and tweeted, "Gadkari Ji, compliments! You are the only one in the BJP with some guts," asking him to further comment on the Rafale scam, farmers' distress and destruction of institutions. On Saturday, NCP President Sharad Pawar made a cryptic remark about Gadkari, saying that the minister is being projected as the next prime minister candidate and that he was worried about him. Without elaborating further, Pawar said, "Gadkari is my friend. We have worked together. There is a talk about his name being pushed (as an alternative to Modi) and because of that I am worried about him."